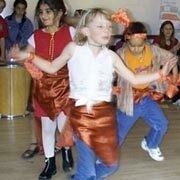 Orff Schulwerk is a dynamic approach to music and movement education created by composer Carl Orff and his colleague Gunild Keetman. Proceeding from a strong conviction in each child's natural musical promise, the Orff approach draws it forth through the child's world of games, chant, song, movement, folk dance, drama and work on specially designed Orff instruments just right for the beginning musician. With over a half-a-century of tried-and-true practice in over 40 countries worldwide, the Orff approach remains on the cutting edge of all educational practice. 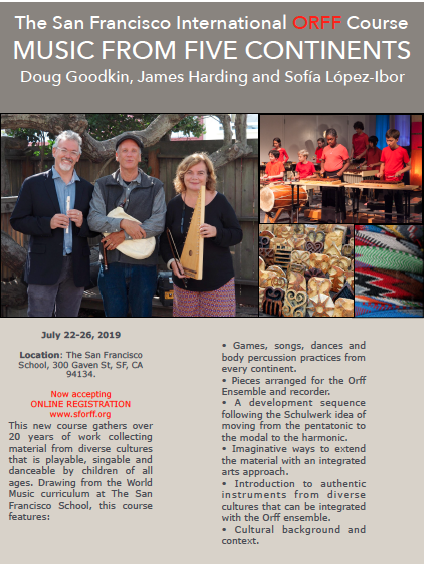 The only course of its kind, The San Francisco International Orff Course combines the structure and sequence of the American Levels Training courses with multicultural material and an international student body representing over 28 countries. We attract music specialists, dance teachers, classroom teachers and professional musicians eager to learn how to engage their students in joyful dance and music-making. Our esteemed faculty are all still working with children, most for over 25 years, and are much in demand in teacher-training workshops and courses nation and worldwide. 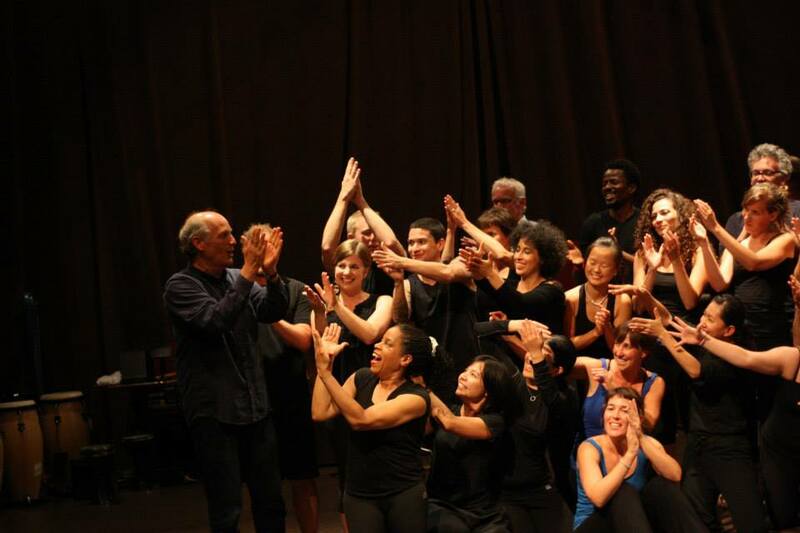 This year the San Francisco Orff Course will be held at three different locations. Levels I, II and III will return to Hidden Valley Music Seminars, a beautiful retreat setting in the Carmel Valley. The camp atmosphere allows for complete immersion and many opportunities for more music and dance when the day’s formal classes are done. The Introduction Course and World Music Course will be held at The San Francisco School. Conveniently located for commuters, the school offers a look at a place with a 44- year old Orff program and the possibility of some demonstration classes with children attending summer school. Students enrolled in these courses must arrange their own housing. 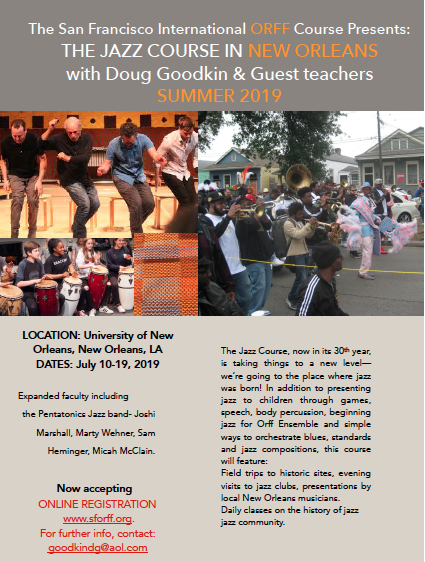 Doug Goodkin's Jazz Course will held this year in New Orleans from July 10-19th (see tab on Website).